Cooling Tower Parts & Components - Tower Tech Cooling Cooling System PVT.LTD. Solely designed to tackle the cruel conditions addressed in the cooling tower ambiance. In Tower Tech, we commit to the above mentioned things when making the cooling tower parts. We make the cooling tower accessories by adopting proper solutions, materials and methods to make the accessories fit to the cooling tower of any make and model. With no doubts, here, you can get excellent cooling tower accessories at a cost what you can afford. We have excellent relationships with a wide network of quality designers and suppliers that give us preferential status. This will ensure to obtain quick delivery of key components at reasonable prices. Our cooling parts will make sure extreme functional efficiency and durability. Explore our cooling parts and components. We Have The Most Complete Line Of Various Types Of Film-Fill Packing Media Available, Which Fits To Give Precisely The Cooling Performance . 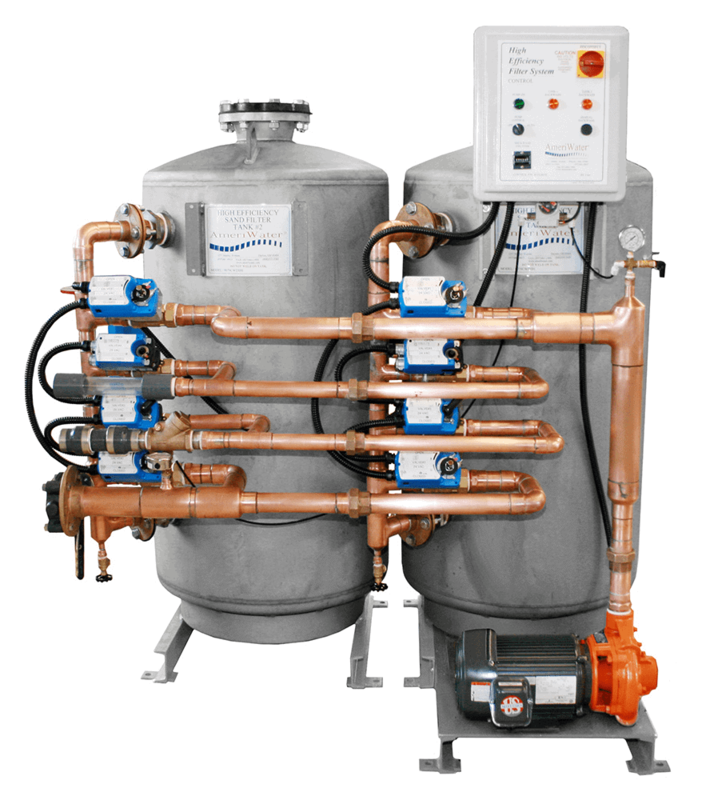 We Offer Everything From High Efficiency, Cross-Fluted Designs To Fouling-Resistant, Vertical Flow Designs Cater For The Almost Any Water Quality. Choice Of Packing Is Key Answer To The Equation Of Optimum Cooling Tower Design At An Most Economical Cost. Splash Fills Are Fouling-Resistant And Capable Of Handling Dirty Water Applications, While Also Achieving High Thermal Performance. Proper Nozzle Selection Means Uniform Coverage And More Efficient Cooling. Available For Different Cooling Tower Requirements. Greaves “B”Series Right angle gear drives in single/ double reduction are intended to satisfy characteristic requirements and conditions encountered in cooling tower applications This series covering model B-114to B-132(having ratio range of1.22/1 to4.57/1) in single stage and B 214to B235 (having ratio range of 5.06/1to 15.4/1(in double stage are exclusively meant for Cooling Tower installations with features like unicast case. 3-pointfoundation, pump less lubrication and combination of labyrinth double oil seal arrangement toward stop end. Spiral Bevel Gears : These are manufactured from high quality case-hardening alloy steel, generated in klingelnberg cyclo-palloid system and lap finished in matching sets.Helical Gears: These gears are machined from high quality alloy case-hardening steel, which are individually flank ground to precision grade accuracy. Case hardened surface with softer core provides improved wear resistance and fatigue strength. Case : Single piece grey cast iron casing is of rigid construction with necessary reinforcement. Provided with easily accessible service ports they are suitably designed on CAD work stations to absorb fan loads and to dampen noise and vibration. The three point foundation facilities in Achieving alignment. Cooling Tower Motors are specially Designed Flange Mounted motors in totally enclosed construction to suit air conditioning & refrigeration industries. They are provided with special long shaft construction with extended threaded end to directly mount the fan. This also helps in the better cooling of the motor. Motors are compact in design & less in weight to facilitate easy maintenance. They are available as standard design or custom built. Also standard motor of reputed make like siemens, Crompton etc will be used along with gear drive series of cooling tower. Blade Drift Eliminator Modules Use A Tightly-Spaced Series Of Sinusoidal-Shaped PVC (Or HPVC) Blades That Force The Leaving Air To Make Distinct Changes Of Direction At Three Impact Zones , Resulting In Maximum Drift Droplet Removal. And This Performance Does Not Come At The Expense Of Fan Energy, As The Engineered Flow Through These High-Performance Drift Eliminators Achieves Very Low Pressure Drop . 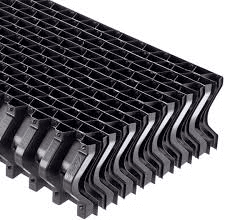 Cellular and blade types louvers are designed to improve air flow in to the cooling tower, eliminate water splash out which can cause icing problems and restricts the amount of sunlight in to the cooling tower to reduce algae growth. FRP Fan Stacks have a unique lightweight single wall construction and are designed to match Fans or Cooling Tower any other make. Fan Stacks have been designed for the greatest thermal efficiency, as well as superior strength. Induced Draft Cooling Tower Drive Systems Are Usually Designed With A Motor, Gearbox And Fan Located At The Top Of The Cooling Tower. The Atmosphere Inside The Tower Is Hot And Humid. Placing A Motor Inside The Tower Under This Condition Can Quickly Deteriorate Its Performance. Using A Floating Shaft Coupling, The Motor Is Located On The Outside Of The Stack And Away From The Corrosive Airflow. It Spans The Gap Between Motor And Gearbox Reducer Shaft Through Various Coupling Designs To Meet Cooling Tower Application. It Is Common Practice To Produce Such Connecting Shaft From Composite Tubes (Either Glass Or Carbon Fiber) And To Connect Them By Torsionally Stiff But Flexible Element Using A Double Cardanic System The Motor And Gear Shafts. Composite Shafts Are High Strength, Light Weight Torque Tubes For Long Span Drive Shaft. These Tubes Are Filament Wound Carbon Or Glass Fiber Construction Which Are Over-Cured Under Precision Controlled Conditions For Consistent Quality. All Composites Shafts Include Our Exclusive Barrier Layer Wound In To The Structure Of Each Shaft Providing Uv Protection And Giving The Shaft Its Unique, Smooth Appearance Plus Protecting For The Working Structure Of The Shaft From Damage During Handling And Installation. ALSO AVAILABLE IN MS HOT DIPPED GALVANIZE/SS 304 CONSIDERING APPLICATION OF COOLING TOWER.